The chalked words read, "I am strong and beautiful." People who have had near-death experiences--who think they've glimpsed heaven--often talk about how it has changed their lives. Well, in my NDE, I saw miniature zoo animals holding a tea party. That didn't have quite the same impact on my life because I don't believe that actually happened. But my life has changed nonetheless. It wasn't so much the NDE, but the fact that I came so close to death and survived. 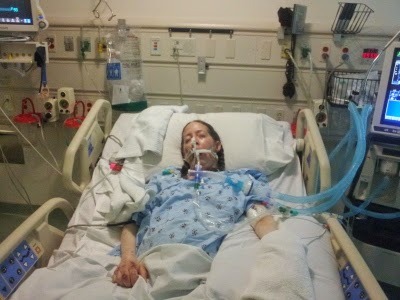 Nearly dying has to change your life, whether you think you've had a profound spiritual experience or not. I bested death and came back laughing. Don't get me wrong; I'm still afraid of death. Fear is really the wrong word. I think death will be final, so I'm not scared of going to Hell or what will happen, other than the possible suffering I might experience. What I'm afraid of is no longer existing. I know that will eventually occur, but I'd just assume put it off as long as possible. I've always been such a procrastinator. I remain plenty insecure, as well. Just like my dermatomyositis, insecurity can go into remission, but it can never truly be cured. But, again, the experience of having been so close to death has given me new confidence that I can conquer anything. My recovery has furthered that because I've survived a state so close to death that I would've been given Last Rites if I had been a Catholic. I've also surpassed the predictions of my doctors, who told my loved ones to give up hope for my full recovery. I've defied, as well, the physical therapists at the nursing home who doubted that I was actually walking because they were unfamiliar with the techniques of the physical therapist helping me to walk, John Silva. 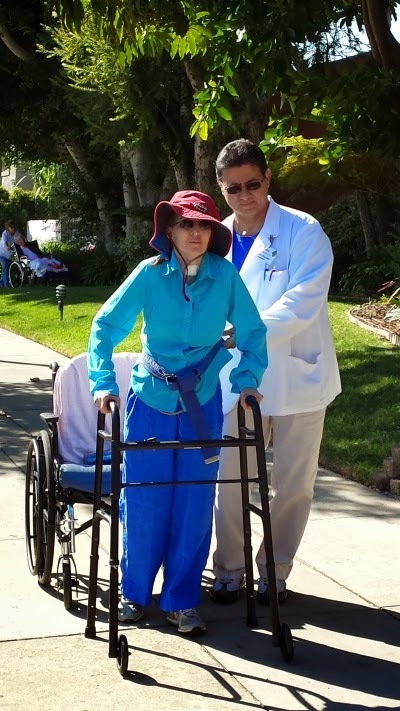 At Rancho Los Amigos, he learned that it was important to get patients walking as soon as possible, even if you have to help them to do it at first. I couldn't stand on my own yet, but by partially supporting my weight, he helped me to walk a few halting steps. Then, a few more. Eventually, I didn't need the support anymore. If he hadn't done that, I would've been stuck in the nursing home, forcing me to lose my Kaiser coverage. I'm now starting to walk outside the house with the new Hurrycane Keith gave me for my birthday. I already walk around the house without a cane at all. 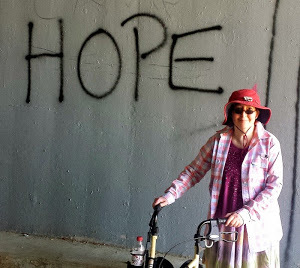 I've been walking longer and longer distances during our rehab walks, too. I climbed a steep stairwell at the Santa Anita train depot museum at the Los Angeles County Arboretum just this past Sunday, on my birthday. And, it's not like I've become death-defying. I'm still afraid of bad things happening to me, like the Sword of Damocles of my dermatomyositis-related increased cancer risk. But I now feel like I can cope with any challenge I should face. So, while I'm not sure if I am beautiful, as the self-affirming chalk message asserts (I'll accept cute), I do feel strong. You ARE strong and beautiful; just temporarily in disguise. Don't know about cute though. Cute is for kittens. LOL!! Thanks for that, Steve! PS: No one is supposed to know about the special abilities I gained during the coma, so I need that disguise! TTFN!